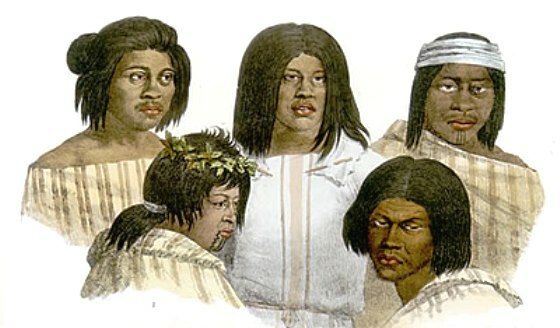 Summary and Definition: The Wappo tribe were a California tribe of Native American Indians who were hunter gatherers. The Wappo tribe were located in California on the headwaters of the Napa River, and Pope and Putah Creeks, and a stretch of the Russian River. A strong, stubborn people who fought against neighboring tribes then Mexican and American encroachment of their tribal lands. What was the lifestyle and culture of the Wappo tribe? The name 'Wappo' is an Americanized form of the Spanish word 'guapo' which means "'brave." The Wappo were a strong people who fought against the encroachment of the lands. Wappo warriors painted themselves with black, red, and white paint, and wore large bird wings in their hair. The encroachment of the Mexicans and American settlers resulted in massive changes to the Wappo lifestyle. The numbers of the Wappo tribe diminished due to the reduced supply of game and wild vegetable foods especially the acorn, disease, massacres by the whites, slavery and warfare against a better equipped enemy. Where did the Wappo tribe live? The Wappo are people of the California Native American cultural group. The location of their tribal homelands was in the the Napa Valley region in Northern California. The geography of the region in which they lived dictated the lifestyle and culture of the Wappo tribe. What did the Wappo tribe live in? Wikiups: During the summer the semi-nomadic California Wappo tribe lived in temporary brush shelters of dome-shaped flimsy huts covered with rushes or bunches of grass called wikiups. The materials used were sagebrush, willow, branches, leaves, and grass (brush) that were available in their region. Winter Pit Houses / Earth Lodges: The more permanent winter homes of the Wappo consisted of villages of rectangular, semi-subterranean winter homes that were set about three feet into the ground. A large village might have forty houses and one or two sweathouses. The pit house was constructed of dirt sidewalls, wood end walls and a pitched roof. The Wappo winter houses had a central fire pit. An opening in the roof allowed the smoke to escape and also let light and air in. What food did the Wappo tribe eat? Food eaten by the Wappo was usually either roasted or stone-boiled and meals were eaten at eight or nine in the morning and again at sundown. The food that the Wappo tribe ate included their staple diet of acorns which they ground into acorn meal. The abundant species of oak trees on their lands produced seven different kinds of acorns. The acorns gathered by the Wappo tribe were stored up to one year, ground into acorn meal and leached to make soup, cakes and bread. The Wappo hunted deer (venison), elk, fowl, and small game such as rabbits and quail. Fish was also another important food source, particularly salmon. The Wappo hunter-gathers collected other foods including buckeye nuts, pepperwood nuts, various greens, roots, bulbs, and berries. Wild fruits and berries included Thimbleberry, Elderberry, California Wild Grape, Thimbleberry and Chokecherry. The bulbs of the Yellow Mariposa Lily were used for food, eaten like potatoes. Most foods were dried and stored for use during the winter months. Coastal groups of Wappo people hunted for sea mammals and considered dried seaweed a delicacy. What clothes did the Wappo men wear? The clothes worn by the Wappo men varied according to the season. During the summer months the men wore a breech cloth or just went naked. In the winter months warm clothing was required and their winter clothing was made from the skins of animals such as deer (buckskin), elk, squirrel, rabbit and wildcats. The Wappo winter clothes included fur robes and cloaks, shirts, wrap-around kilts, mitts and leggings that were often decorated with fringes. They wore one-piece moccasins with a front seam whilst hunting or traveling, but went barefoot in the warmer weather. What clothes did the Wappo women wear? The clothes worn by the Wappo women included blouses and aprons that covered the front and back made of shredded willow bark. Their dresses or skirts fell to knee or calf length and were belted and fringed. Special clothes were strung with ornaments, tassels and porcupine quills. Twined tule sandals, or moccasins, covered the feet of the Wappo women in the winter and they wore fur robes to keep warm. What was the religion and beliefs of the Wappo tribe? Wappo History Timeline: What happened to the Wappo tribe? The following history timeline details facts, dates and famous landmarks of the Wappo people. The Wappo timeline explains what happened to the people of their tribe. 1851: Treaties were agreed reserving lands for the Native Indians of California, but they were never honored. 1906: The 18 treaties of 1851 were �rediscovered� and 54 rancherias were established.